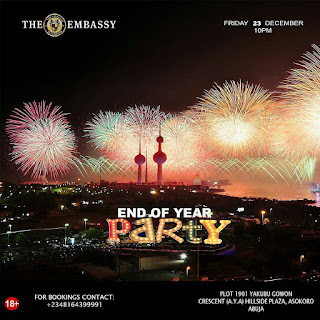 You are invited to come party with us at our 'End of the year party' as we say goodbye to another sucessful year! From all of us at The Embassy We would like to say a very big thank you to our customers for walking into our doors throughout the year! SEEING YOU ALL AGAIN FOR SEASON 3 IN 2017!